Islamabad: They may be magnificent and imposing, but Pakistan’s mountains and the communities living under their shadows are often overlooked by decision makers. And now the mountains, which are home to millions of people and a major source of freshwater for the country, are facing new challenges in the form of climate change and unsuitable tourism activities. “The [shift] in the timing of water flows due to climate change is creating food security issues for the communities living in Gilgit-Baltistan (GB),” says Aisha Khan, who heads the Mountain and Glacier Protection Organisation (MGPO), working to reduce vulnerability to climate change in GB by providing people access to safe drinking water, water for irrigation, and protective walls for safety from floods and land erosion. “The major threat, however, to Pakistan’s mountain regions comes from environmental degradation and lack of enforcement of [government] policies to ensure the harmony between nature and development,” she told Gulf News. Climate change has created a slew of challenges for the mountain regions, including avalanches, landslides, reduced snow cover, melting glaciers, floods and degradation of forests. All this is affecting communities as well as agriculture, tourism and biodiversity in the region. Another reason for proliferation of landslides is the removal of the berrylike plant sea buckthorn — one of the “magical plants” with multiple benefits — in favour of cash crops such as potatoes in Gilgit, added environmentalist Helga Ahmad. “Sea buckthorns are a blessing for the people, environment, and ecology because of their medicinal and nutritional benefits and ability to help control landslides with their deep roots,” she said. One of the recent threats resulting in severe pressure on fragile mountain ecosystems is irresponsible tourism activity. The waste left behind by tourists in scenic areas is creating environmental and health hazards. In the absence of proper management systems for solid waste, a local organisation High Altitude Sustainability has stepped in to promote responsible tourism. 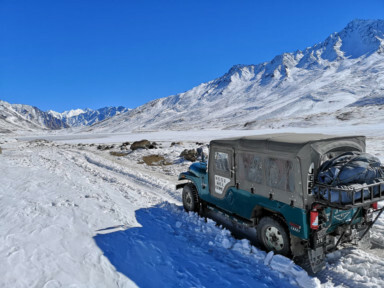 This year it raised awareness on cleanliness by collecting and properly disposing of 6,750kg of waste and animal carcasses in the Sustain Baltoro Clean-up expedition. Mountaineer Saad Mohammad says cooperation from all stakeholders — tourists, locals and government — is needed to increase awareness of sustainable tourism. “Tourists and mountaineers have a greater responsibility to protect Pakistan’s scenic regions. They take home beautiful photos but leave behind ugly waste footprint,” he said. Pakistan’s Gilgit-Baltistan region, renowned for some of the world’s best scenery, attracts tourists from all over the world. This region is where the three mighty mountain ranges — the Himalaya, Karakoram and Hindu Kush — meet in Jaglote town near Gilgit. It is home to five of the world’s 14 highest peaks (8,000+ metres) and 108 peaks above 7,000 metres. Spread over an area of 72,791 square kilometres, the region is home to nearly two million people and is full of rich biodiversity and cultural heritage. The beauty of the region can become a curse if environmental deterioration goes unchecked, activists say. “Mountains attract people for adventure, recreation and research, recreation. However, the unregulated construction, influx of people, lack of effective municipal services and weak law enforcement has resulted in massive deforestation and increase in litter,” Khan said. People: Spread over 72,791 sq km, the region is home to 2 million people with rich cultural traditions, languages and knowledge. Mountain ranges: Three mightiest mountain ranges — the Himalaya, Karakoram and Hindu Kush — meet in Jaglote town. 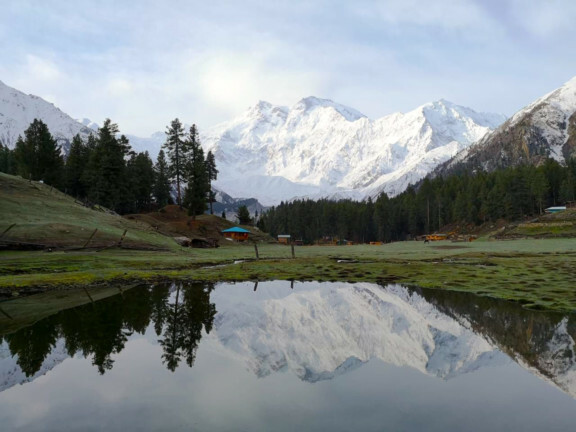 Highest peaks: Pakistan is home to five of the world’s 14 highest peaks (8000+ metres) and 108 peaks above 7000 meters. Water: Mountains are the world’s water towers. Northern areas serve as the principal water catchment for the Indus River. Biodiversity: The region is abundant with natural forests, rich biodiversity and wildlife. Tourism: Renowned for some of the world’s best scenery, the region is a paradise for local and foreign tourists. Food: Both fresh and dried fruits of the region, are famous for rich taste and organic nature.